This is an incredible release. 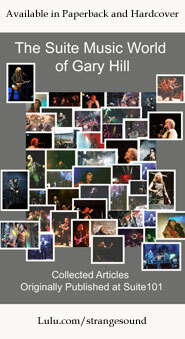 The CD portion has been released before, but this new edition is the first time the DVD has ever been available. The event was a television show called “In Session” that was filmed in 1983. 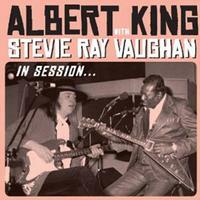 Albert King essentially passed the torch of his blues legacy to Stevie Ray Vaughan as the two of them performed together. Both the CD and DVD are well worth having and they feature different songs. Anyone who likes the blues at all needs to pick this up. Of course, fans of Albert King or Stevie Ray Vaughan will have it on their “must have” list. This slow blues number is very much in a retro blues style. It’s also smoking hot. The instrumental section features some seriously incendiary guitar soloing. That soloing bridges the gap between older and newer styles of the blues. One of Vaughan’s better known cuts is given the King and Vaughan treatment here. It has a bit of that retro blues sound added to the standard mode. A high energy, retro blues number, this one is quite tasty. It’s got some especially meaty guitar soloing, too. A piano solo also shows up on this cut. At over fifteen minutes in length, this slow blues is packed with a lot of stuff. Part of it is Albert King telling stories amongst the music. Part is filled with awesome guitar soloing. It never gets old or feels repetitive or overly long. When you consider that it’s a simple blues riff and last as long as it does, that says a lot. Here’s another spoken word section with Albert King telling Stevie Ray Vaughan that he’s going to “turn it over” to him. With a killer retro organ sound, this is very much an old school blues number. The guitar solo section is purely amazing on this cut. Another that’s more of an old school blues tune, this thing has some pretty amazing guitar work and a great vibe. Here is another spoken word bit with King talking about how he first found out about Vaughan. There’s a bit of an R & B soulful vibe to this retro sounding blues number. At points in the guitar solo section, the ghost of Jimi Hendrix seems to be channeled.